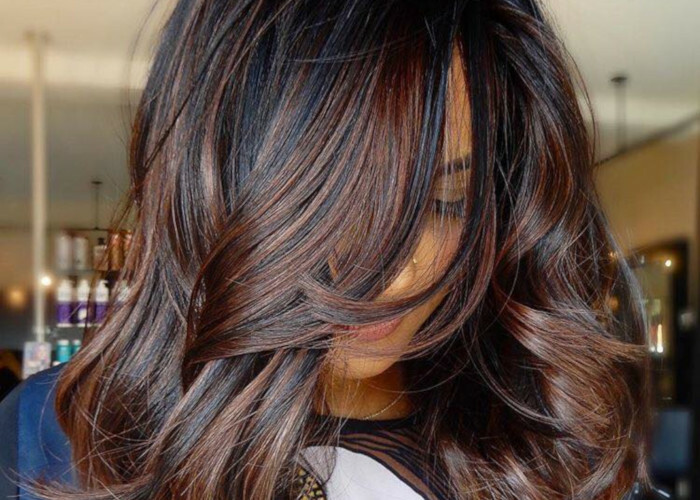 Hair colorists	establish new and interesting trends constantly. Most of those trends are related to using different hair colors or different tones from one color in order to achieve an interesting effect. We had a chance to see really beautiful hair trends lately such as	pearl hair and	tangerine hair. The Kansas-based hair colorist Ursula Goff takes hair coloring to a whole new level. She literally creates	pieces	of art on her clients’ hair. Ursula also uses hair extensions and turns them into recreations of famous classic art paintings such as Van Gogh’s Starry Nights, Andy Warhol’s Marilyn Monroe and Edvard Munch’s The Scream. She states that hair extensions are better because she needs to work with the strands at a vertical angle which can get uncomfortable for her and for the client. Another reason is that she is very attached to the pieces of art that she creates. Extensions preserve her artwork because there is no need to wash them very often. According to Ursula, the inspiration came spontaneously: “I thought of [creating these looks] while I was washing a client’s hair. We had pulled her color palette from Starry Night, and I started wondering while I looked at the colors in the shampoo bowl, how hard it would be to do the actual painting on hair. And since I have painted for much of my life, the concept appealed to me as an excuse to do more artwork,” she tells Allure. Ursula’s Starry Nights recreation	was one of the hardest paintings she has ever done. She has spent more than 10 hours painting the hair extensions. The hardest part was to reproduce the brush strokes on the hair because of their texture. She also had to be very careful about the color scheme. Ursula had to plan very well because if she used a color that’s too dark in the	wrong spot she would hardly be able to cover it. The talented hair artist	ended up redoing her Starry Night’s recreation three times before she liked the final result. Some of the paintings took only a couple hours, but Starry Nights was the most demanding one. Besides painting actual art pieces on hair Ursula likes to get inspired by color palettes of the famous classic artworks. Instead of recreating the painting she would use the same palette of colors to dye the client’s hair. Ursula refuses to use stencils. She creates everything by hand. Her creations are so unique that they could be hanging in a museum as a piece of art.